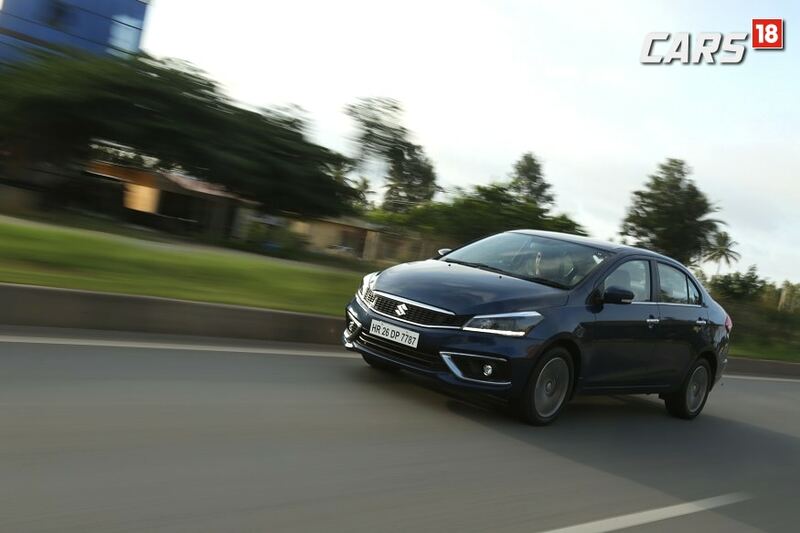 We recently drove the Ciaz with the new 1.5-litre petrol engine and here’s what we think about the sedan in our Maruti Suzuki Ciaz Facelift test drive review. Maruti Suzuki is a brand largely known as a manufacturer of the mass budget products. Over the years, Maruti has worked hard to balance out this image by adding some premium products to the range – right from the Grand Vitara to the Kizashi. 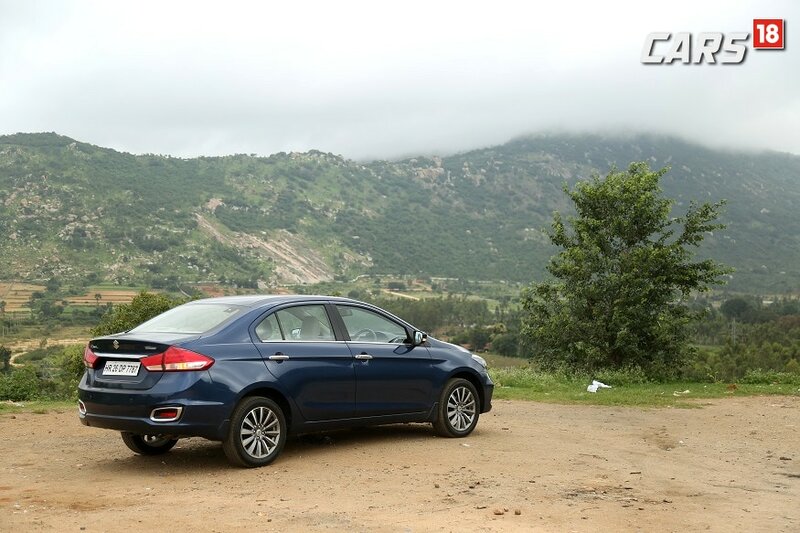 But what struck a chord with the Maruti buyers in India was the Ciaz mid-size sedan. Maruti Suzuki Ciaz was introduced back in 2014 to cater the premium budget buyers. Then in 2017, Maruti decided to sell it through Nexa sub-brand giving it a very mild facelift. And now in 2018, Maruti Suzuki has given a major facelift to the Ciaz, adding to its premium value. 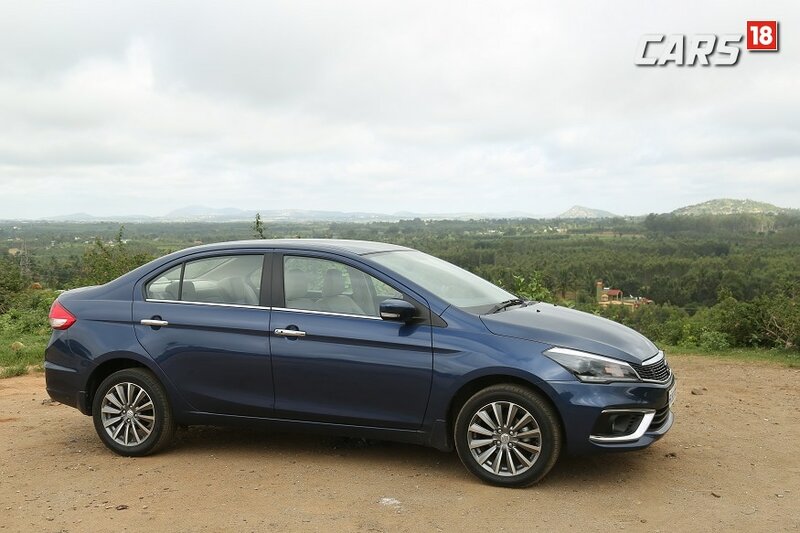 We recently drove the Ciaz with the new 1.5-litre petrol engine and here’s what we think about the sedan in our Maruti Suzuki Ciaz Facelift test drive review. 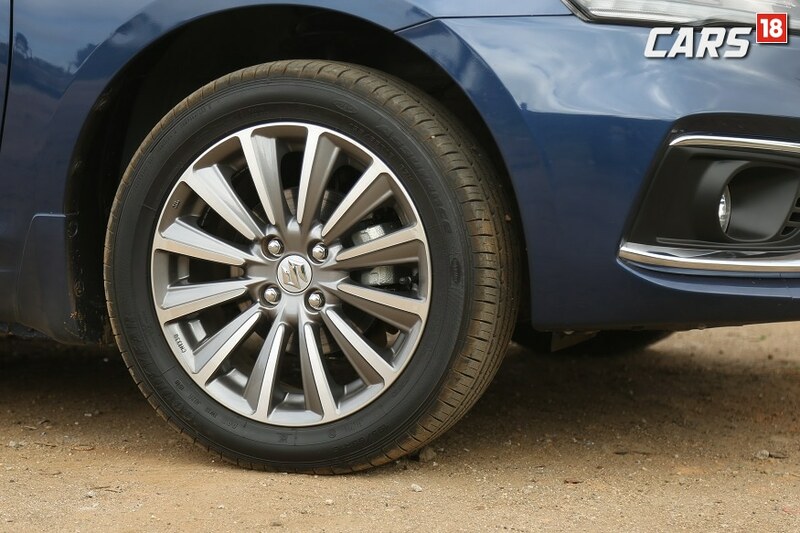 3) Segment best mileage in both petrol and diesel engines. The Maruti Suzuki Ciaz was never designed to stand out in the crowd, but was designed with a balance to appeal the masses. However, with the arrival of many good looking products, Maruti Suzuki decided to up its game and launched the Nexa blue color last year. The color alone is worth mentioning because the color stands out and identifies with the Nexa sub-brand. And taking forward their simplistic yet differentiating design language, Maruti has given a major makeover to the new sedan. The front fascia is completely redesigned and features a new grille that stretches till the headlights and has a lot of chrome lines. Everything is LED now, right from the DRLs to headlights and even fog lights that are again enclosed in chrome casing. On the side the only change is the new dual shade 16” alloy wheels and at the back is the new LED tail lights. 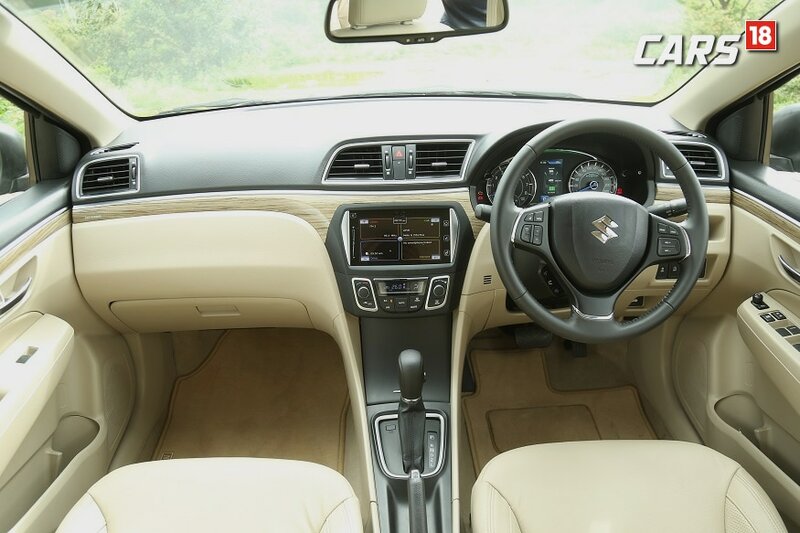 Overall, the silhouette of Ciaz remains the same and the limited changes add to premium touch in the sedan. Move inside the cabin and you see an identical layout as the outgoing model. The changes in terms of the looks is the addition of new Birchwood trim, that adds to the luxury of the cabin, and goes well with the beige cabin. The other visible change is the new instrument console with a 4.2 inch multi information display. The digital display reads out the vital information of the car including energy flow, mileage, torque and more. Also, the color of the display changes as per the driver’s input. The rest of the cabin is same in terms of the overall design and size. The rear seats have enough legroom and shoulder room to house 3 adults, and has an AC vent of its own, while the front seats were a little firm, which can be problematic for long drives. The touchscreen infotainment system is retained from the previous model and includes Apple CarPlay and Android Auto. The system suffered from a lot of lag while using the navigation or scrolling through your playlist. The steering wheel now features a cruise control, which is a nice touch. Practicality wise, there’s enough space to keep your knick knacks, water bottles and mobile. Also, the boot is spacious enough with 510-litre of volume and has a squarish and deep design. Overall, the cabin feels spacious but needs some more work in terms of finishing, as there are some grey areas not visible easily to the untrained eye. The biggest change in the new Ciaz, apart from the looks, is the addition of the 1.5 petrol engine with smart hybrid technology that increases the mileage marginally. 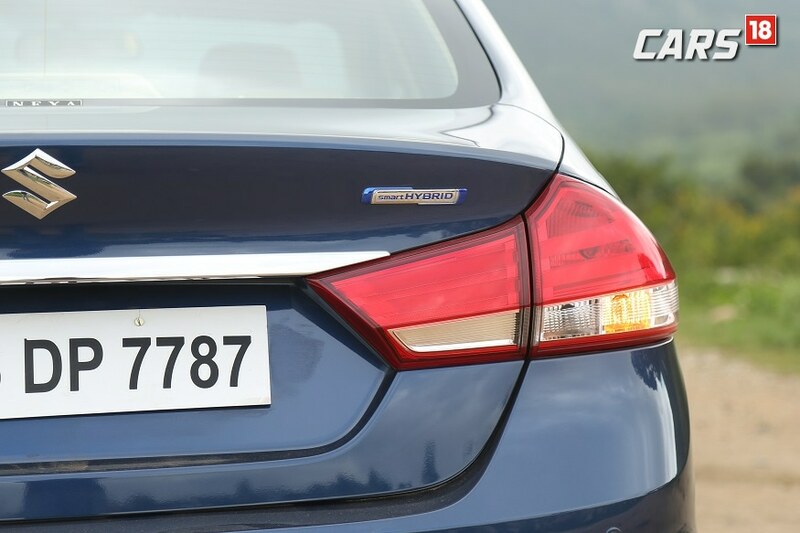 The patented Suzuki’s mild hybrid technology, better known as the SHVS, was already available in the previous-gen Ciaz diesel version, giving it the industry best 28.09 kmpl mileage figure. Now with the new K15B petrol engine, the scenario is the same and Ciaz now delivers 21.56 kmpl for the manual version and 20.28 kmpl for auto version. The petrol has a dual battery arrangement, and the additional lithium-ion battery charges more quickly. 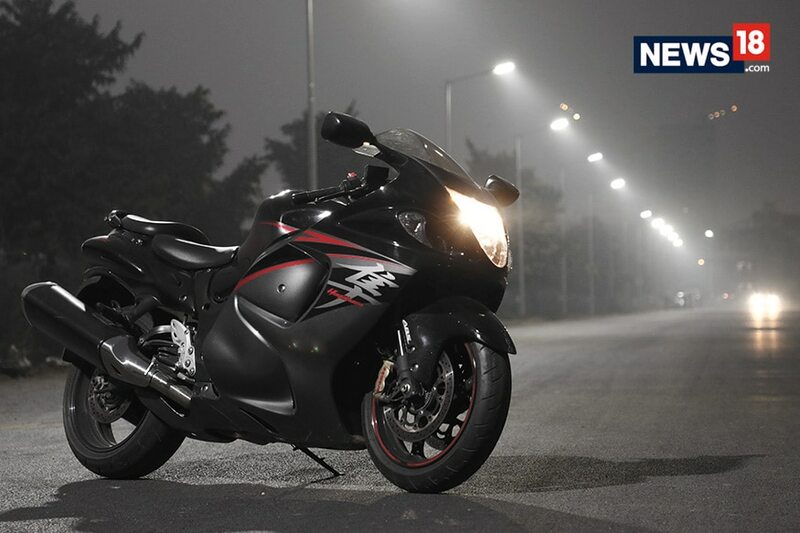 Speaking of engine specs, it is a 1,462cc unit making 105hp and 138Nm of torque and replaces the older 1.4-litre unit. You can feel the punch thanks to the additional power on the tap and the vehicle feels aggressive till 100 kmph. But once you get past 100-120 kmph, the Ciaz’s engine feels stretched out and makes a lot of noise, especially with the automatic gearbox. Which brings us to the gearbox. Apart from the manual unit, there’s a four-speed torque converter auto box which is not as good as the competitors’. The old school gearbox is deprived of a manual option, and you can also use the '2' and 'L' position for additional engine braking. The ride quality is as superior as it can get and the NVH levels are also minimal. The steering is a typical Maruti, which means it feels nice to hold and operate. There are a few additional safety features like the inclusion of a speed warning system that beeps twice every 60 seconds above 80kph, and continuously at speeds above 120kph. Given the fact that the highest speed on highways is 90 and on expressways is 110, this is an unnecessary addition. The Ciaz facelift also gets auto headlamps, electronic stability program, and hill hold assist along with 2 airbags and ABS as standard. The biggest USP of the Maruti Suzuki Ciaz sedan is its fuel efficiency. While the diesel motor was already offering industry best figures, the addition of a new 1.5-litre petrol engine means it has the best mileage numbers across the model range. Also, the looks are more premium now, and so is the cabin, thanks to the Birchwood trim and new MFT instrument cluster. Basically, Maruti Suzuki has addressed all the shortfalls from the previous-gen model, making the new Ciaz even more competitive in its segment.